I think you all know that Oct 1st, 2013 the Exchange [Covered California] will be up and running for coverage on an individual basis and for groups 2 to 50 [SHOP]. Coverage will be effective Jan 1st, 2014. On the individual coverage there will be Open Enrollment from Oct 1st to March 31st. What you may not know that if you miss placing your individual coverage by March 31st you will not be able to get coverage until Open Enrollment begins Oct 1st, 2014 for 2015 coverage. There are some exceptions to this that being for marriage, divorce and Native Americans. You will however be able to choose between COBRA and the Exchange if you lose your employer based coverage. Covered California has a new personal coverage calculator. Go to www.coveredca.com. You can get more information also about how Covered California works. For those of you in the Marin area, I will be speaking on the Affordable Care Act [ACA] at the Embassy Suites in San Rafael September 24th with Congressman Jared Huffman from Covered California and Bonnie Preston from HHS. The program is from 8AM to 10AM. I am working with Lucas Public Relations and the California Endowment Foundation in outreach to the California small business community on ACA. One of the things we thought would be helpful is to get as many questions as possible from the small business community. Could you please send me your questions? We will try to answer them and let you know when we just don’t know. It is our goal to then set up a FAQ after receipt of those questions. On Thursday I am meeting with a staff member of Senator Barbara Boxer . The topic is the debt limit. The current limit is $16.7 trillion. The Treasury pays every Thursday $100 billion to investors and usually investors immediately lend this back to the government in a process called rolling over the debt. It is expected that cash will run out sometime mid October if the debt ceiling is not raised. There are those that argue that this is an opportunity to cut government spending . One area mentioned is to cut spending on the Affordable Care Act. If the debt ceiling is not raised or if spending cannot be cut enough to pay the debt the US would go into default. A default would wreak havoc with the US economy and would trigger a sharp increase in interest rates. What is your opinion on this issue? If there is a default do you know how it would impact you and your business? If you could talk to Senator Boxer on this what would you tell her? Last week tax guidance was provided by the Department of Labor and IRS. It was a mind numbing piece but as best as I can tell through my research it will be difficult if not impossible for employers to set up accounts allowing individuals to purchase individual health on a pretax basis. The exception is retirees. In my last email I mentioned the requirement of the Affordable Care Act that employers notify in writing information about the Exchange [Covered California]. It is not clear whether this can be by email and many have been saying it can’t. I am not sure this is accurate, but if anyone knows for sure please let me know. On October 1 ,2013 all employers with $500,000 or more receipts are required to provide their employees notices about the Exchange in their state. In California the Exchange is called Covered California. Please see link to a piece I wrote in Fox and Hound. It includes the forms if you are providing health insurance to your employees and if you are not. Note you are required to provide this in writing so just providing the form technically does not meet the requirement. I have received a call from the Wall Street Journal wanting to talk to California businesses regarding the minimum wage increase legislation that the governor is expected to sign. If you would be willing to speak with a reporter about this issue, please let me know. Please see information below about a webinar by our friends at CAMEO. It will focus on the importance of self-employment and micro businesses in job creation. companies with 1-4 employees created more than 700,00 jobs. It's the very small and independent workers who are creating the jobs. 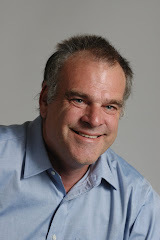 You know who the small businesses are, but who are these independent workers? This session will present data supporting self-employment and local micro business trends, and describe strategies, tools and resources that are proven effective in creating businesses, jobs and sustained local economies, without huge investment. Bring your lunch, log on and discuss one of the most important labor market trends we are facing. I have just learned that Ellen Widess has resigned as head of Cal OSHA. She was a good friend of Small Business California. Her goal in her position was to have OSHA seen as a resource to small business and not a gotcha agency. She will be missed. As you know we are coming to the end of the legislative session. Two bills that Small Business California supported have been decided. The good news is that SB 399 has passed and sent to the Governor. This bill was the prompt payment of businesses that do emergency work for the Department of General Services. 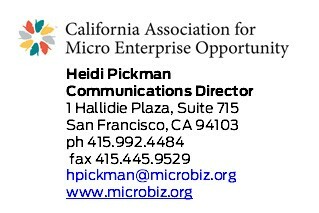 Small Business California coordinated a letter of support by about 30 associations. It now goes to the Governor. The bad news is that AB837 was sent to the inactive file. This is the bill that would codify the Small Business Development Centers in California. We will continue to work on getting funding for the SBDCs to meet their match from the SBA. Please see information below of a webinar by our friends at CAMEO. It will focus on the importance of self employment and micro businesses in job creation. Join Claudia Viek, CEO of CAMEO (California Association for Micro Enterprise Opportunity), for a virtual brown bag lunch, with a short presentation and discussion of this crucial labor market trend. In California corporations with more than 500 employees shed almost 300,00 jobs from 2003 to 2010, while during the same period, companies with 1-4 employees created more than 700,00 jobs. It's the very small and independent workers who are creating the jobs. You know who the small businesses are, but who are these independent workers? This session will present data supporting self employment and local micro business trends, and describe strategies, tools and resources that are proven effective in creating businesses, jobs and sustained local economies, without huge investment. Watch CAMEO Connects to see the power of locally-grown small-businesses.